My fascination for the Cassidy’s probably stems from the fact I was always told told by my grandmother Mona Murphy Roberts that I was like her mother Rebecca. She used to say I was the only one of her grandchildren that could sing the Irish songs, even though my mother used to protest that I was the least Irish of all her grandchildren. When I started doing family history in earnest in 2006 I was very surprised to find that I was actually a fourth generation Australian on my mothers side! My grandmother and all her relations used to proudly say that they were Irish. Well they were, but their ancestors had been in Australia since the early 1800’s! My great grandmother Rebecca Cassidy was born in Australia in 1852, she reputedly rode sidesaddle and was considered the finest horsewoman in the New England district. That wasn’t a skill I inherited but it could explain my canny luck with the horses! It was always said in Mum’s family that the Cassidy’s were holier than the Pope. The Murphy side, were supposedly the black sheep and scallywags! Not surprising as Rebeccas first cousin Phillip Cassidy (1848-1922) was recognised as the first ‘Australian Born’ ordained priest (aka Brother Melitus). He reached the status of Venerable Archdeacon (from what I’ve read, that is only two levels away from being made a saint!). His work with the Australian Indigenous population in the small town of Moyura in Southern New South Wales was particularly of note. There were many others who took up religious professions on the Cassidy side of the family, including Phillips sister Catherine – the first ‘Australia Born’ postulant of the Good Samaritans, who designed the ceiling of the Rosebank Chapel at Five Dock. Who would have thought they were of convict stock! It was through the association of Rebecca and Phillip that we were first able to trace the family connection, their fathers Thomas and Phillip being brothers. My third cousin Marnie, a Cassidy descendant, later sourced a book written by Father Peter Klein about the ecclesiastical life of Father Phillip Cassidy. In the first chapter he talks about the Cassidy’s roots in Ireland and suggests they came to Australia as early farming pioneers. In reality they were convicts, now proudly referred to in Australia as ‘Australia Royalty’. The Cassidy brothers, Thomas, Phillip and Edward were convicted and transported for life, for reputedly throwing a horse over the precipice at Cullaigh, Belmore Mountain, Fermanagh. They were sent to Australia on board the Hercules II in 1830. Whilst their father Stephen was also charged, he obtained a reprieve on account of his age and newspaper reports suggest he was to be imprisoned for 2 years, whilst his 3 sons were transported for life. It seems odd that he was not transported along with his sons, as many persons of advanced years were. What became of him remains a mystery. In about 1874 Peter Magennis wrote a story that included information about Stephen that was published in the Lisbellaw Gazette 1879-89 called ‘The Treasurer, A Story of the Great Irish Famine’. This series was kindly given to me by local historian Seamus MacAnnaidh in 2009. Whilst the work is a mix of fact and fiction Magennis indicates Stephen was probably over 70 years of age in 1835, so he may have been born as early as 1765, he also says Stephen had a large family. Stephen is described as a senarchy (sennachie) which is understood to mean ‘one occupied in the study of traditional history, genealogy and legend’. Magennis suggests he was the best senarchy and historian in the country. We don’t know much about Stephen Cassidy. In Father Kleins book it says he was based with the military at the garrison in Fermanagh in the North of Ireland and was referred to as ‘an outstanding young catholic captain‘. We now know that Stephen was from Boho, near Enniskillen and lived in the townland of Gortgall, where there is a nearby village called Garrison. As a Catholic, it seems unlikely that Stephen would have been a captain in the British Army and it is more likely that the term ‘captain’ may have been a nickname. The 1820’s were a turbulent time in Ireland with many disputes between landlords and tenants. Protestants and Catholics. The Cassidys had been evicted from their land in 1826. Catholic Emancipation being finally gained by 1829. A number of newspaper references suggest that Stephens landlord Reverend Andrew Clarke wanted the Cassidy’s ‘out of the country’ (the inference being transportation) and that there had been previous litigation between the Cassidys and Clarke. It was also implied that the local prosecutor Henry Fausett may have been offered money to prosecute the Cassidy’s. One newspaper article in 1828 reports that Stephen and his son Thomas (my second great grandfather) were charged with making threats and menacing James McCourt of Upper Gortgall, near Garrison on 7th April 1828. McCourt was the new tenant now residing on their old land, having lived there for about a year. The evidence suggests that McCourt believed the intruders to be the Cassidy’s, also stating there were references to the murder of Dominic Noone and that the intruder making the threats referred to himself as ‘Captain Rock’, known to be the leader of the local group of Ribbonmen. The Ribbonmen were an agrarian secret society, their objective to prevent landlords from changing or evicting their tenants. Whilst McCourt stated he didn’t see the intruders he said he had previously chased ‘Captain Rock’ and knew his voice. The court returned a verdict of not guilty for both Stephen and Thomas, but could this be the reason Stephen was known as the outstanding young ‘Captain’? There is a lot more information about the Ribbonmen and the murder of Dominic Noone at Derrygonnelly in Peter Magennis’ earlier book ‘The Ribbon Informer”, but Stephen Cassidy is not mentioned by name in that account. Later in July 1829, around the time of Orangeman’s Day there was an incident that is well known in Irish sectarian history, known as the Macken Fight. The persons involved in the incident were tried on the same day as the Cassidy brothers and also transported to Australia on the Hercules II in 1830. Whilst our Cassidy’s were not named as being involved, there was a Hugh CASSIDY named in some reports but he was not among those finally charged and I have yet to identify him. It was somewhere between 9-12 September 1829 when the horse owned by Andrew Whaley (a protestant tenant) was driven off the lands of Upper Gortgall, near Moyleat, Belmore Mountain into the precipice. References differ about the date but most suggest it was the night before the Enniskillen Fair, probably 10 September. The Cassidys were charged, the Belfast News reporting on 22nd Sep 1829 the exact location of incident on Upper Gortgall lands and the effects on the horse. The report also suggested there had been many ‘degradations’ over the last few years since the Cassidy’s were ejected from their lands. Thomas may have been living at Tobradan by this time. At the trial, Stephen refers to Andy Flanagan, concerned about what had happened to him. I have been unable to determine whether there is any significance in this comment? Could the events at Macken and the charges against the Cassidys be linked? The Cassidys continued to claim their innocence over the horse incident. If Stephen was involved with the Ribbonmen and was their leader it does seem probable that he may also have been connected to the events at Macken. Was Reverend Andrew Clarke instrumental in bringing into play his desire to see the Cassidy’s deported? Where Stephen was imprisioned remains a mystery. I have been unable to source any relevant gaol records, or find a death record. However, given his age Stephen would have died before civil registration was introduced in Ireland. Stephen was married to Catherine Britton, the daughter of an Anglican clergyman, who had abandoned her faith and become a Catholic when she married Stephen, which at the time would have been known as a ‘mixed’ marriage. To date, we know the couple had at least three sons, but it is suspected that the family would have had many more children as Peter Magennis also suggests. Several other potential family members Cassidy’s have been identified during this research. Could they be connected to our family? If anyone out there has information to share, I would love to hear from you. Pat Carron was uncle to Andrew and Catherine Cassidy. He was transported on Hercules II in 1830 for his involvement at Macken, he may be the same person who was involved at Inismore riot in 1824. James Keenan was also transported in 1830 on Hercules II for his involvement at Macken. His wife was named Mary Cassidy, they had a daughter Ann, both of whom remained in Ireland due to Marys ill health. Patrick Cassidy born c1790, m Mary McCaffery The Derrygonnelly Cassidy article by Janet Cassidy-Strop, outlines more detail. The geographic closeness of Patrick is of particular interest as well as the suggestion of the family’s involvement in Ribbonism. Hugh Cassidy involved in the events at Macken. Hugh Cassidy born 1827 is too young to be the Hugh Cassidy suggested as being involved in the events at Macken, but perhaps his father Owen Cassidy born abt 1788, also from Derrygonnelly, may have had a brother Hugh? Could Owen be connected to Patrick? Or, perhaps our Stephen might also have another son or brother named Hugh? Stephens son Thomas Cassidy was also said to have left a wife in Ireland with two daughters. No application was made for her to join him in Australia so perhaps she may have died soon after Thomas’ transportation? John Cassidy is listed in Griffiths Valuation in 1859 at Tobradan where Thomas Cassidy previously rented lands before his transportation. John is married to a Mary Maguire, whose father is probably named Patrick. They have a son Owen, who married Margaret Wynne. Also living in Tobradan townland at that time is another James Keenan. There are also number connections to the McManus family, including several involved at Macken, however it is quite a common name. In late 2010 I became interested in DNA testing soon afterwards I began looking for a male CASSIDY to help me confirm the CASSIDY line back to Ireland. Enter Des Cassidy my third cousin! He did an autosomal test for me in 2012. I soon followed that up with a Y-DNA test in 2013, looking for our extended Cassidy line back in Ireland. We had no Y-DNA matches for the first two years – none at all, not even at 12 markers! It wasn’t until 2014 that we got our very first Y-DNA match, we had to upgrade to 67 markers to finally get it! A Cassidy from the USA who listed his oldest known ancestor as Patrick, that’s all, no years, no locations and uncontactable. How frustrating! By 2016 Oliver Cassidy from Ireland tested, his ancestor Owen lived at Coolarkan a short distance from Stephen at Gortgall and we thought perhaps they may have been brothers. Oliver matched both Des and our US Cassidy at 67 markers and whilst the matches suggest a patrilineal relationship, it is more likely that Stephen and Owen were cousins when you look at the genetic distances of the two matches. With the help of another US Cassidy descendant Don, a 4th cousin once removed, we were able to trace the ancestors of our mysterious match, identifying his oldest ancestor as James Cassidy 1861-1840 from Derryrealt Cavan, very close to the border of Fermanagh. I suspect James was the son of the Thomas Cassidy from Drumcask, Cavan who was listed in Griffiths Valuation in 1859, his wife Mary McManus. As can be seen on the map below, the places where all three ancestors lived is quite close, particularly Owen and Stephen, with Thomas not too far away at 25 kilometres. It was autosomal DNA tests that gave us the breakthrough we were looking for to confirm our relationships back to Stephen. Des’ initial autosomal test confirmed the relationship of our family back to Thomas and Mary Cassidy our Australian convict ancestor, but it wasn’t until early this year that we managed to get back to Ireland. Earlier in the year we confirmed the relationship of our family back through another son of the Cassidy family, James. An X chromosome match with my US cousin Don, enabled us to confirm Stephens wife as being Catherine ‘Kitty’ Britton. To read more about how we identified Kitty through DNA and our relationship through her son James, please refer to my earlier blog post, by clicking here. It’s a long story and for another post, but I have long wondered whether this James is actually Edward, one of the three brothers transported to Australia, who escaped the colony in 1833 and was said to have gone to the United States. Leaving that aside, we now have autosomal results from descendants of Thomas, Phillip and James that confirm the three brothers are all from the same family. We have no less than five triangulated segments and two more on the way! Chromosomes 1, 4 and 21 are the only ones that triangulates all three brothers, but we are close on the others as you can see. These segments must be coming from the ancestral couple of Stephen Cassidy and Catherine Britton. It might take some time to unravel which segments belong to which side of the family but its a great start! Whilst I am currently aware of 13 DNA testers whose ancestry can be traced back to Stephen and his wife Catherine there must be more out there. We know the brothers had at least 33 children between them, potentially more if we could identify more siblings. Unfortunately so far, the descendants of Stephen do not share any autosomal DNA with either of our Y-DNA matches, but that is not surprising given that those genetic relationships may be much further back in time. However, you never know what new tests might reveal. If you have tested your DNA and think you might be related to this family, please let me know. 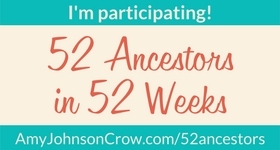 I would love to compare results, but results need to be uploaded to GEDmatch for comparison. The chart below outlines our new possible family, taking into account ‘possible’ relationships based on Y-DNA testings! It was a great thrill on our trip to Ireland in July this year to actually stand on the spot near Eagles Knoll on Belmore Mountain where the horse was reputedly thrown from the precipice after my many years of researching the Cassidy story. Special thanks must go to the efforts of a lot of people from the Boho Heritage Organisation, especially my ‘predicted’ 4th cousin once removed cousin Oliver Cassidy. It was a delight to finally meet Oliver and his family. It doesn’t look like much of a precipice in this photo, but take a look at the surprise BBC coverage of the event here. At the Cassidy Clan Gathering I was appointed to the Executive Committee as the DNA officer. I hope to be able to assist members to connect with other Cassidy’s around the world. If you are a Cassidy and have tested your DNA please join our Facebook group. You can read more about the Clan Gathering at both the Cassidy Clan website and in my private travel blog rayver33 – Here and There. If you need access, just ask. Belfast Newsletter, 6 April 1830. Indicates transportation for life. Identical article in Enniskillen Chronicle and Erne Packet, 6 Apr 1830, p4. Identical article in Impartial Reporter, Apr 1830. Enniskillen Chronicle and Erne Packet, 31 July 1828, p1. Excerpt from Rituals and riots: sectarian violence and political culture in Ulster, 1784-1886 By Sean Farrell. Belfast News 22nd Sep 1829, p4. 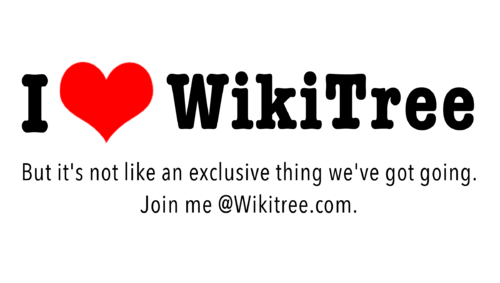 Most of the sources for my Cassidy research have been published on Wikitree and can be found here.